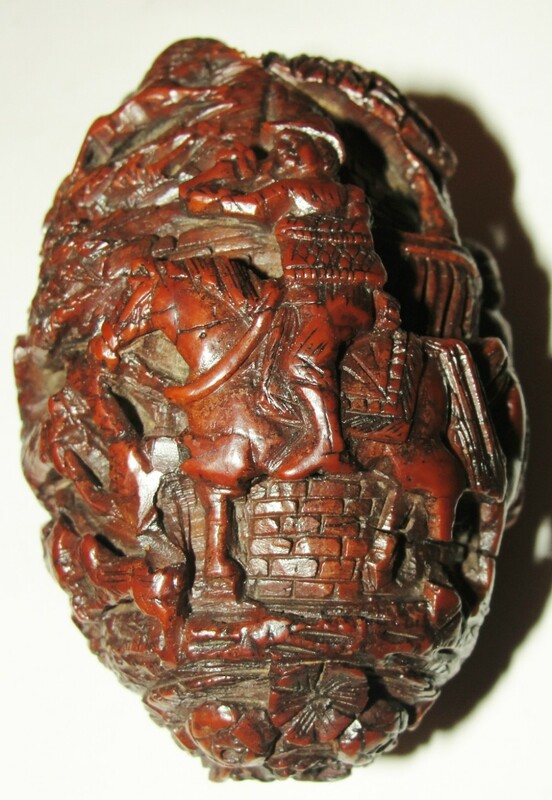 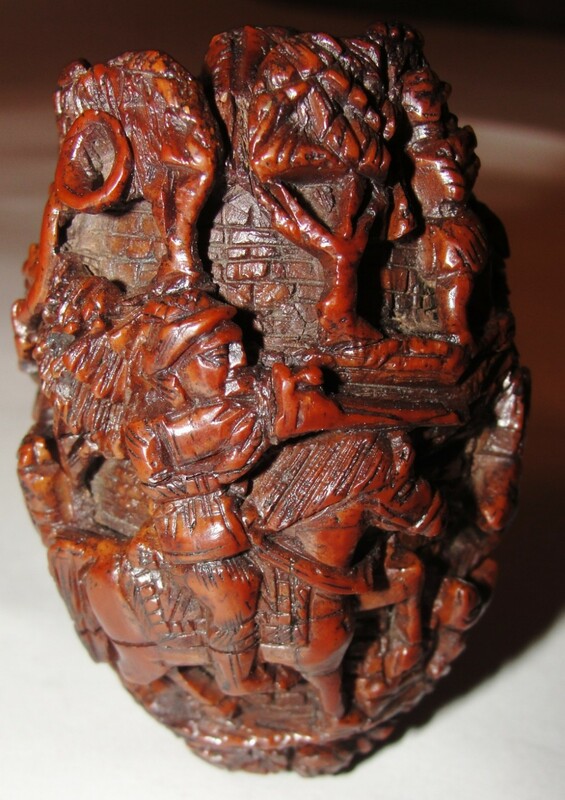 Stunning George III carved coquilla nut snuff mull, wonderfully carved all over with deer hunts on two levels depicting men on horseback, deer, dogs etc. 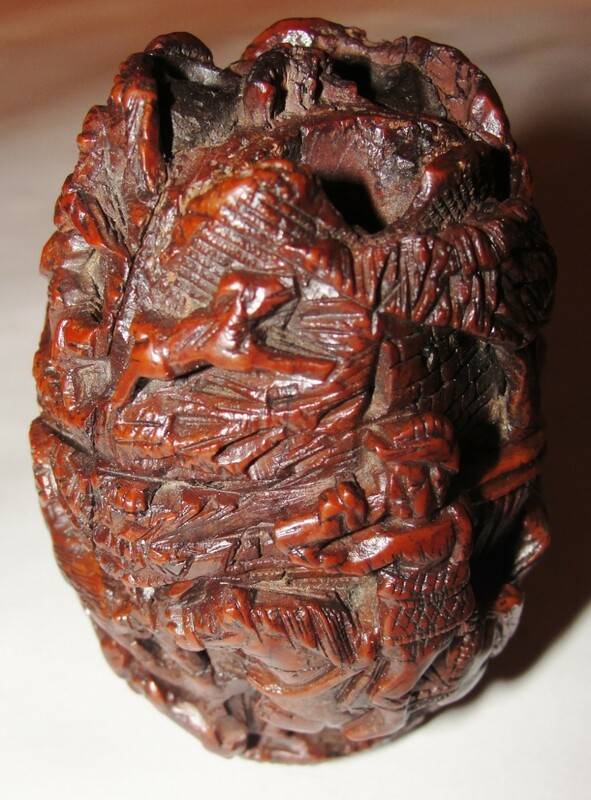 The bottom end carved with flowers and the top end with 'bug-bear' with mouth as opening for snuff. 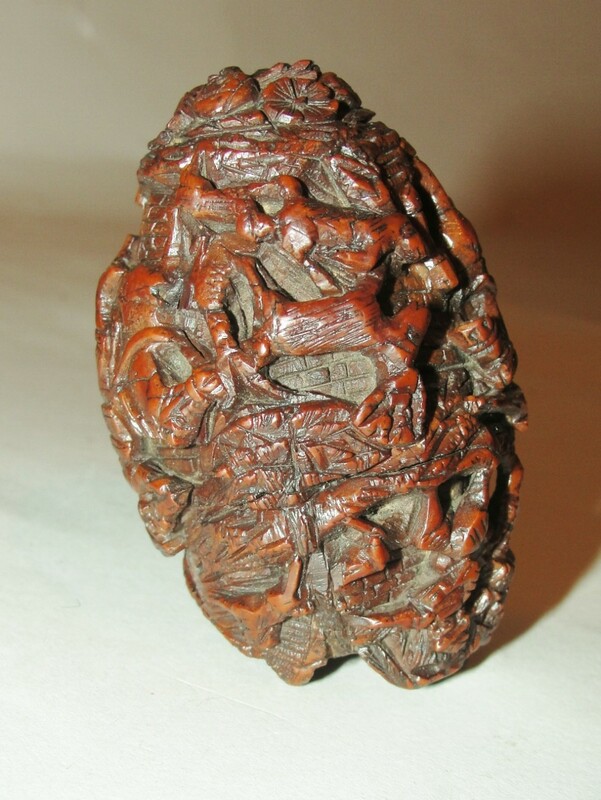 (would have had cork as stopper). 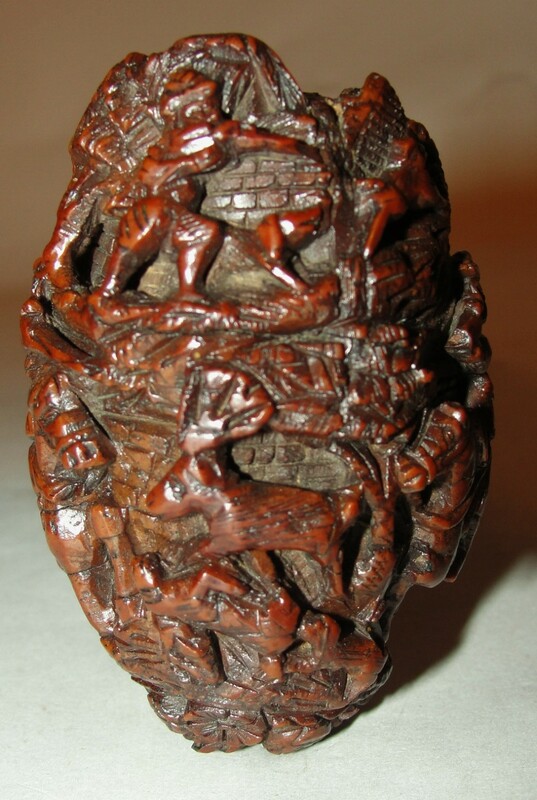 All in fine un-touched original condition with a few minor natural shrinkage cracks. 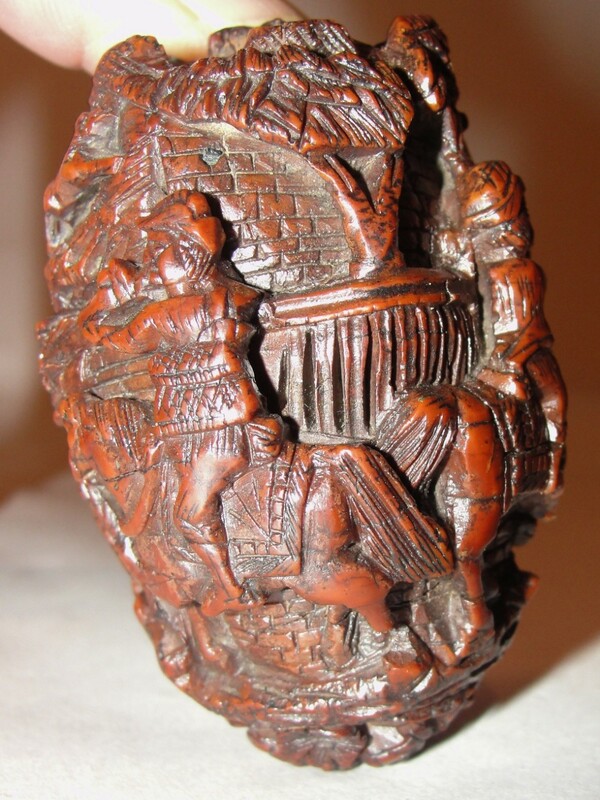 Is a stunning colour with superb waxed patina. 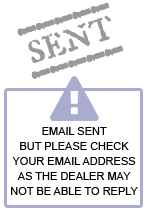 This is the best example of its kind I have ever seen. 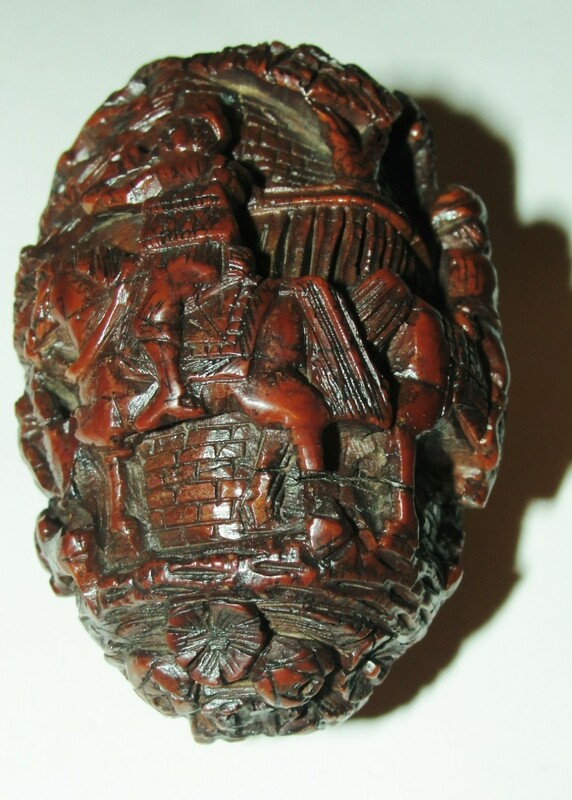 PLEASE SEE OUR OTHER INTERESTING ITEMS OF TREEN. 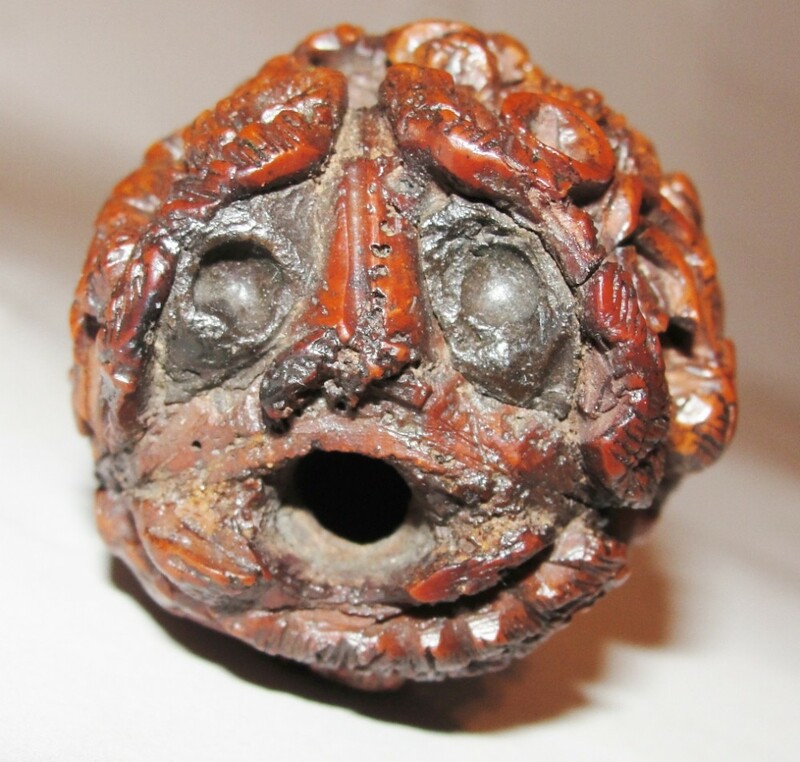 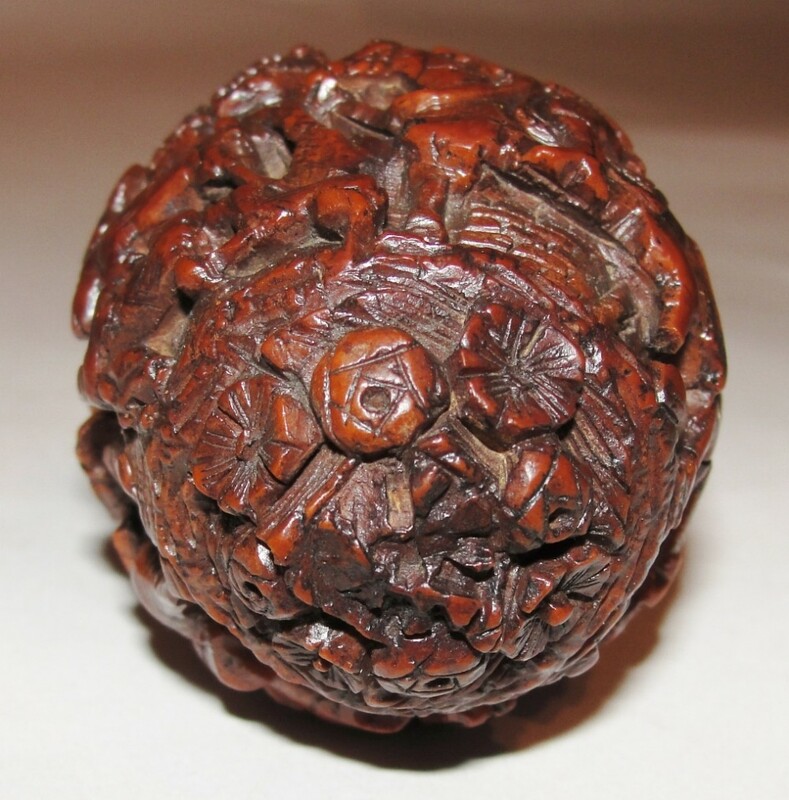 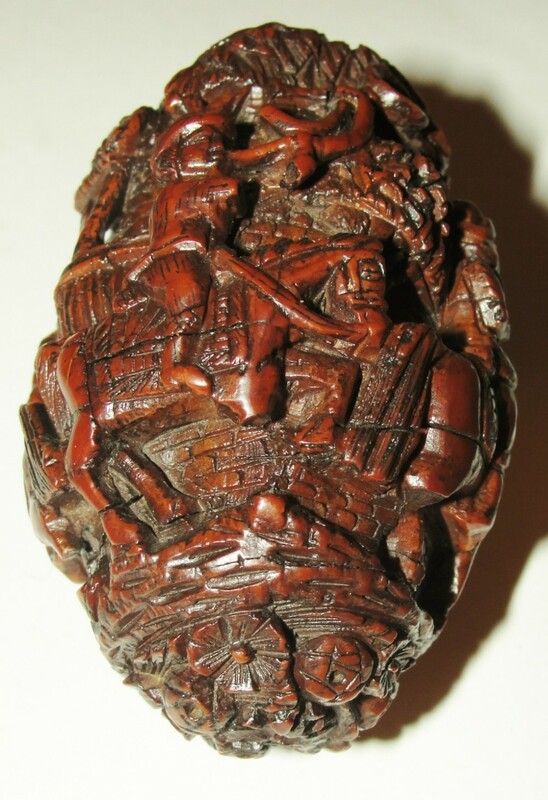 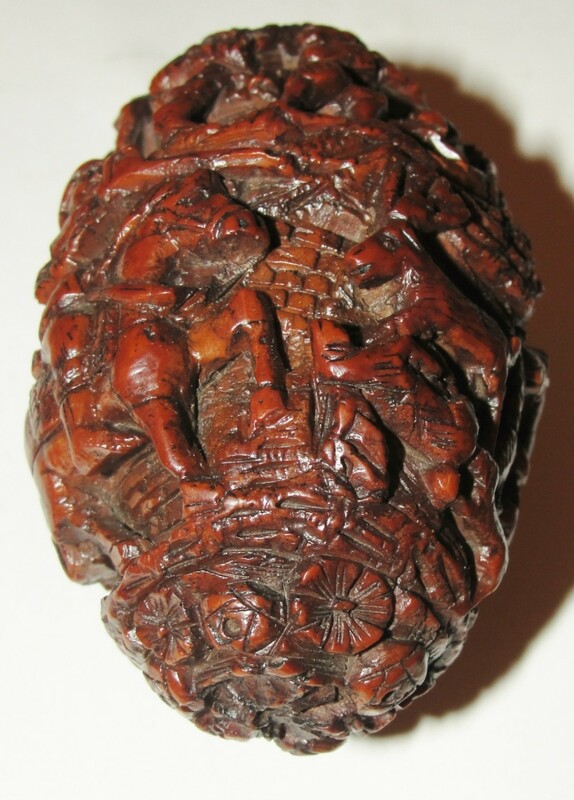 The Georgian carved coquilla nut snuff mull Circa 1760 has been added to your saved items.